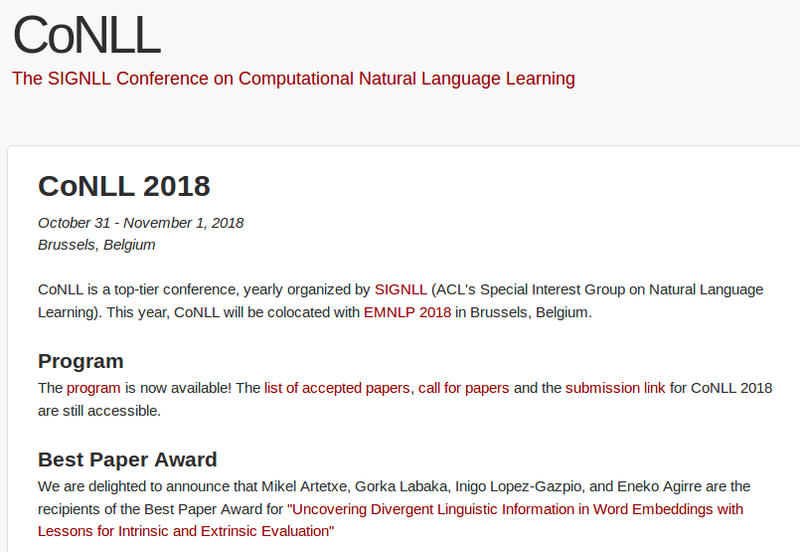 Best Paper Award on CoNLL2018 « Ixa Group. Language Technology. 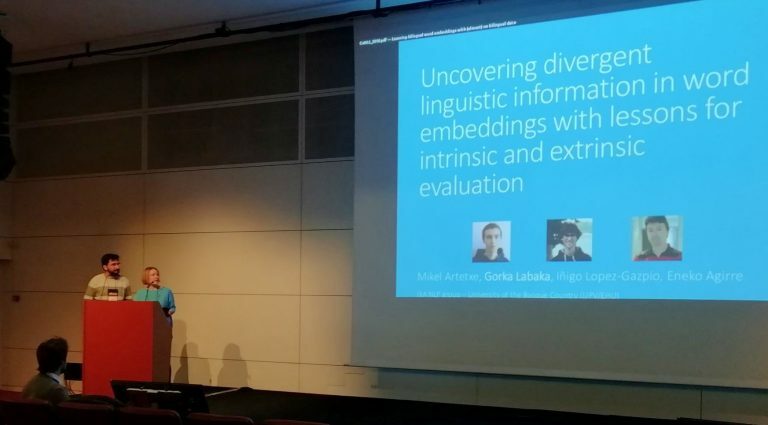 Last week our colleagues Mikel Artetxe, Gorka Labaka, Iñigo Lopez-Gazpio, and Eneko Agirre were the recipients of the Best Paper Award in the 22nd Conference on Computational Natural Language Learning (CoNLL 2018) for the paper “Uncovering Divergent Linguistic Information in Word Embeddings with Lessons for Intrinsic and Extrinsic Evaluation”. Following the recent success of word embeddings, it has been argued that there is no such thing as an ideal representation for words, as different models tend to capture divergent and often mutually incompatible aspects like semantics/syntax and similarity/relatedness. 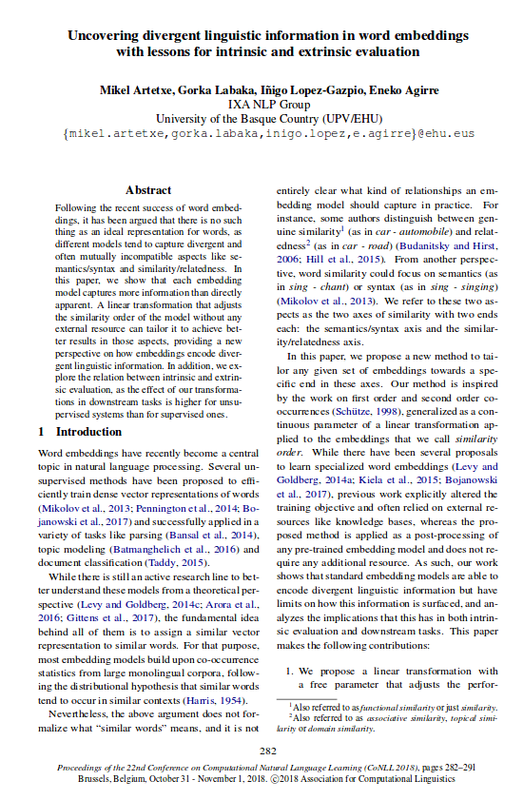 In this paper, we show that each embedding model captures more information than directly apparent. A linear transformation that adjusts the similarity order of the model without any external resource can tailor it to achieve better results in those aspects, providing a new perspective on how embeddings encode divergent linguistic information. In addition, we explore the relation between intrinsic and extrinsic evaluation, as the effect of our transformations in downstream tasks is higher for unsupervised systems than for supervised ones. 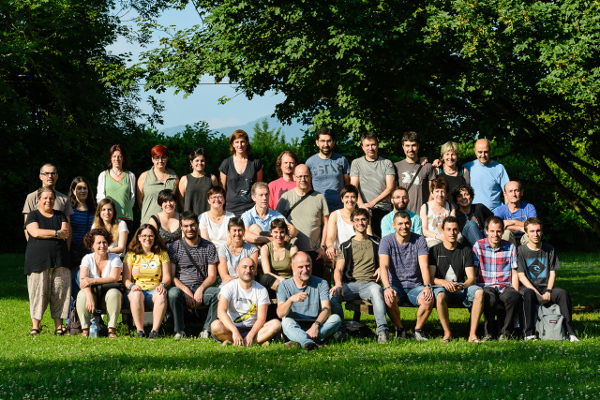 This is an open source implementation in GitHub of our word embedding post-processing and evaluation framework, described in the paper.